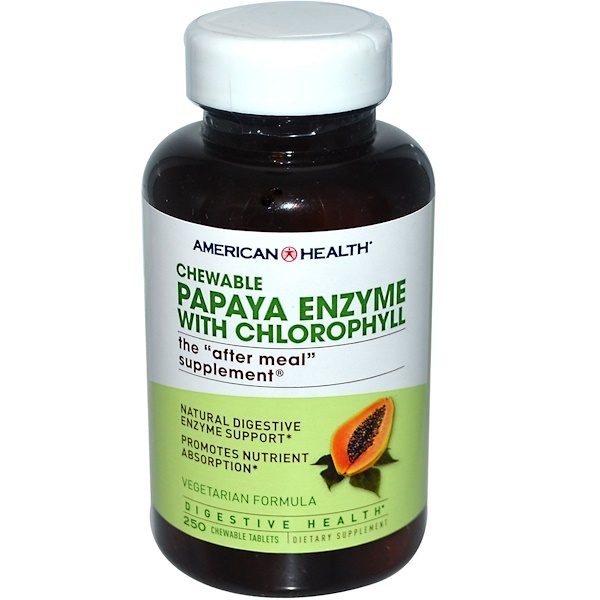 Our famous blend with Chlorophyll is the perfect "after meal" supplement to help support and maintain daily digestive health. We combine the finest quality of freshly ripened Papaya fruit with papain, amylase and protease enzymes which aid in the digestion of proteins and carbohydrates, while encouraging proper nutrient absorption. 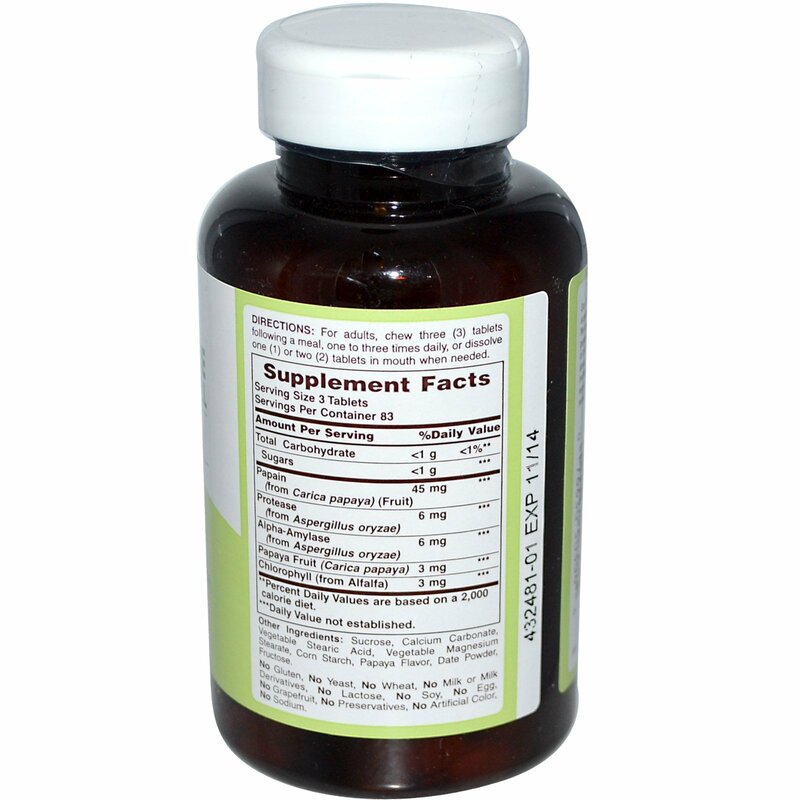 Our formula offers the ideal choice to help with inefficient digestion. Take this delicious natural papaya enzyme regularly to promote gastrointestinal wellness while helping to reduce bad taste and sweeten breath. For adults, chew three (3) tablets following a meal, one to three times daily, or dissolve one (1) or two (2) tablets in mouth when needed. Sucrose, calcium carbonate, vegetable stearic acid, vegetable magnesium stearate, corn starch, papaya flavor, date powder, fructose. No gluten, no yeast, no wheat, no milk or milk derivatives, no lactose, no soy, no egg, no grapefruit, no preservatives, no artificial color, no sodium.